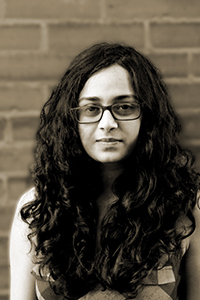 Aditi Machado is the author of a chapbook, The Robing of the Bride (Dzanc Books, 2013). Her poems have appeared in The Iowa Review, New England Review, Better Magazine, LIES/ISLE, and elsewhere. Machado earned her MFA from Washington University in St. Louis and is a doctoral candidate at the University of Denver. She is the poetry editor of Asymptote, a journal of literary translation.